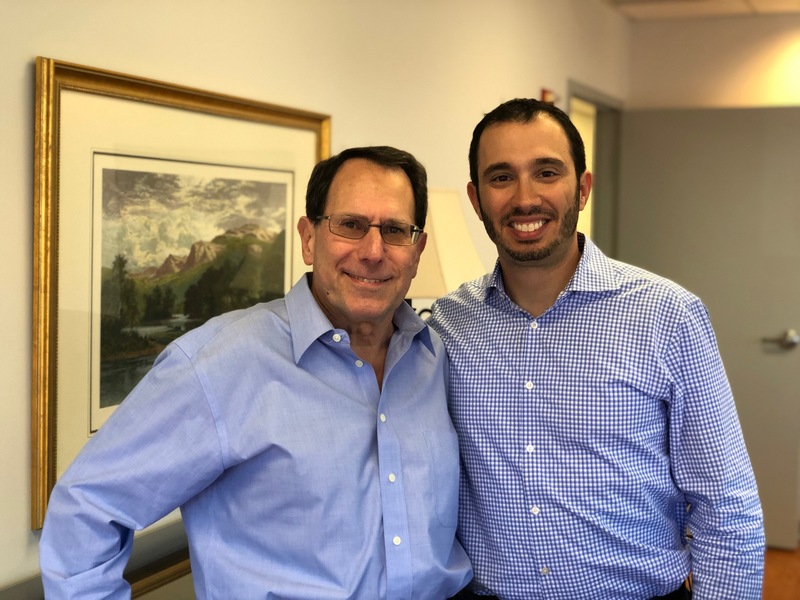 Home / Insights / Connections: Q&A Rich Poline, Poline Associates, Celebrating 40 Years! How did Poline Associates get started? My brother, Bob, actually started Poline Associates in San Diego in 1979. I joined in 1984 and shifted all back-office responsibilities to Atlanta. My son, David, joined the team in 2011 and the rest is history. Are you surprised that your company is celebrating 40 years in the shopping center industry? It really is hard to believe that we are celebrating 40 years. Honestly, I try not to think about it since it just reminds me how old I am! What has changed the most in the shopping center industry? I think the demise of the department store a/k/a “the industry darlings” is the most significant change I’ve seen during my tenure. The interesting takeaway for me is no matter how consumer preferences change, the shopping center industry always manages a meaningful response to successfully meet that change head-on. What has changed the most in the recruiting arena? The sophistication of the tools and technology we use today has improved our productivity immensely within the recruiting arena. What are the keys to success in the recruiting business, especially your niche industry? The keys to success are hard work, treating people honestly and with respect. Since we are in a niche industry, we must know our business inside and out and I think our clients and candidates recognize the knowledge, expertise and experience of our team. What advice would you give the next generation? I advise young people to work hard, be diligent and treat people fairly, honestly and with respect. Who made the biggest impact on your career? My wife is the one who has truly made the biggest impact on my career. She has stood by me during the good times and bad – always ready to give sound advice and guidance no matter the situation. What is your greatest accomplishment to date? My greatest accomplishment to date is riding out the highs and lows of the shopping center industry with all its changes over the past 40 years. Also, knowing we have been able to positively impact the lives of many of our candidates and clients. What is your most fond memory? My most fond memory is bringing my son, David, into the business, to follow in my footsteps and watching him excel at what we do. What are your insights on a family-owned business? Having David join the company has given me a whole new perspective on our business. It’s a pleasure to watch a family member in action and succeed in our niche business. I realize this dynamic isn’t the case with every family and I’m truly fortunate it works for us. What has been the biggest challenge? The biggest challenge is maintaining the ability to stay focused during the good and bad times of the shopping center industry cycles. It’s easy to get too high during the good times and too low during the bad but maintaining an even keel is critical to the success of a small company which is so closely tied to the success of a specific industry. Is there anything you would have done differently? Occasionally, I thought about expanding our practice, but I like the fact that I didn’t relinquish the ability to deal one-on-one with our clients and candidates. I am grateful that I did not give up those relationships to someone who is not as invested in the business as I am. What do you hope Poline looks like in 40 years? I’ll leave the future of Poline Associates to David since my runway doesn’t go out that far. What do you want your legacy to be? I hope that we will be remembered for making a positive difference within the shopping center industry by helping so many people. I also hope that David will follow in my footsteps and continue to improve on what we’ve already accomplished. Best vacation you have ever taken? We were fortunate to take some fantastic trips in 2018. My kids orchestrated a surprise birthday celebration for me in Jamaica. Later in the Spring, we went to Chile, Easter Island and Peru where we toured Machu Pichu. Then in the Fall, we went to Thailand, Bhutan and Cambodia. All were amazing adventures. If you had a theme song, what would it be? “Too Late to Turn Back Now” by The Cornelius Brothers & Sister Rose. It was playing on the radio the night before my wedding and was good advice!